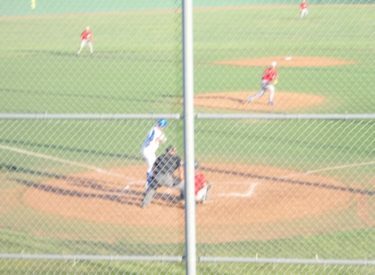 The Liberal Bee Jays continued their hot streak with a 10-2 victory over the Hays Larks on Tuesday at Larks Park. The Bee Jays scored early and often with a run in the first, three runs in the second, a run in the third and seventh, and four runs in the ninth. Lubbock Christian’s Paul Gonzalez earned the win lasting six innings and striking out seven. St. Louis’ Travis Parker pitched one scoreless inning, while San Diego’s Nick Youpel pitched two scoreless innings striking out three. Offensively, Liberal was led by Concordia’s Joe Vaskas who went 3-5 with an RBI. Lubbock Christian’s Richard Bohlken also went 3-5 with two runs scored. Clarendon’s Edwin Arroyo was 2-4 with two hits, while another Lubbock product Marc Gomez hit his second home run of the season. Hays drops to 13-7 overall, and 9-6 in the Jayhawk League. The Bee Jays improve to 17-6 overall, and 9-6 in the league. Both teams will face off again tonight at 7 p.m. The game will air on 1270 AM and right here on kscbnews.net.